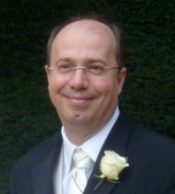 Dr. Drogosz has over 20 years of Lean manufacturing, product development and above shop floor experience. Through LLA, Dr. Drogosz has been a lean consultant on a variety of projects and has applied Lean to manufacturing operations, product development as well as a variety of administrative and service operations. Dr. Drogosz has been a senior lean consultant to several companies and industries including Northrop Grumman, Ford Motor Company, Johnson Controls, General Motors-Asia, Society of Automotive Engineers, Rush Trucking, Areva, Peugeot-Citroen, PeopleFlo, Tenneco, Johnson Controls, Chrysler, Eaton Truck, Alcatel-Lucent, Chemtrade, Commercial Vehicle Group, Hertz, Schlumberger, Harley-Davidson, Embraer and Caterpillar. At Northrop Grumman Ship Systems, he has applied lean both in the shipyard and in engineering processes. 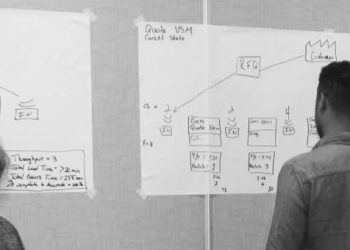 John has applied lean principles to the Detail Design processes that have shortened lead times, reduced rework and improved productivity. In the shipyard, he has applied lean principles to panel lines, unit construction and unit outfitting. Newport News also hired John to guide them on applying lean to their carrier design and repair processes and their submarine design process. Dr. Drogosz currently teaches classes in Lean Product and Process Development and Lean Manufacturing for the College of Engineering at the University of Michigan – Ann Arbor. He is a contributing author to the Toyota Product Development System by Morgan and Liker and to Dr. Jeffrey Liker’s book The Toyota Way to Continuous Improvement. He is also a contributor and coach with the Lean Enterprise Institute’s Lean Product & Process Development community. Before joining LLA, Dr. Drogosz also held a management role at Delphi Automotive in enterprise-wide lean implementation including running numerous value stream mapping & kaizen workshops in plants, developing corporate training materials and leading the transformation to lean. Prior to that, John worked through John Shook’s TWI Network as a Ford Production System consultant at Dearborn Engine Plant while writing his PhD dissertation developing a mathematical model to optimize factory capacity utilization. Dr. Drogosz holds a Bachelor’s degree in Business Administration from the University of Western Ontario and a Master’s and PhD in Industrial and Operations Engineering from the University of Michigan. He is also a Six Sigma Black Belt.